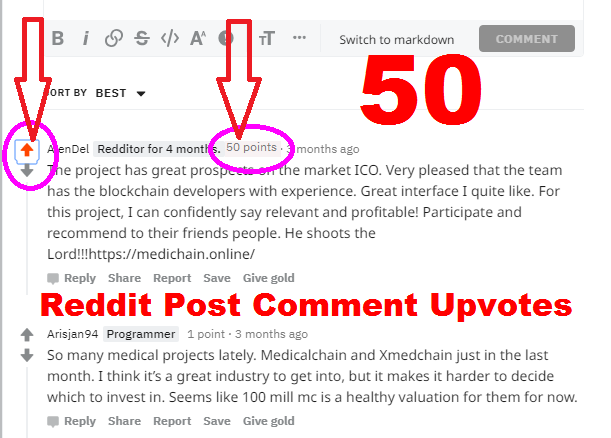 I will give you 50 Reddit Post Comment Upvotes karma to your reddit post or links or articles. All will be from real reddit accounts and will be from different ips so that there wont be many downvotes. Reddit can bring lots of traffic to your site and main thing in reddit is upvotes which makes your reddit post or links popular in reddit. The post will be a permanent one. 50 Reddit Post Comment Upvotes karma Your or Links or Articles is ranked 5 out of 5. Based on 6 user reviews.